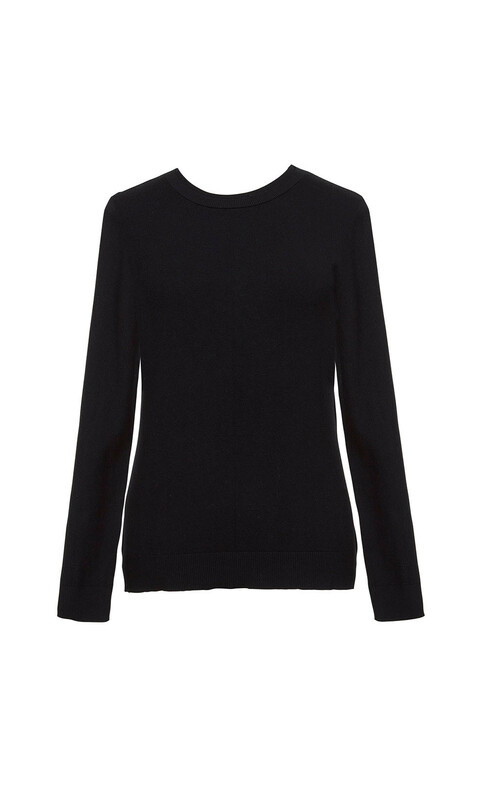 This black sweater is the perfect example of DORIN FRANKFURT’S effortless elegance. It's crafted in a wool composition to enhance the slender silhouette, and is shaped with a with a round neck and long sleeves and is traditionally refined with a ribbed-knit collar, cuffs and hem making it ideal for solo wear or layering in the colder months. 50% Acrylic, 30% Viscose, 15% Polyester, 5% Nylon.